Eastern Fare Music Foundation is one such turf which still holds on to such a thought and proudly propagates it. In an era where music is being bargained over as a fast moving commodity, Eastern Fare affectionately tries to preserve the accent of sound. Located in Koramangala, the heart of Bangalore city in India, this music institute with a difference engages in providing tutelage to music enthusiasts of all ages. It had its inception in the year 2007 with a bitty total of five students. In today's date, Eastern Fare has half dozen branches all over Bangalore giving Music education to more than a hundred pupils. Eastern Fare prepares students for grade exams conducted by Trinity School of Music, London; but it diverts itself from the regular method of teaching. The institute focuses on a concept based learning method where students are made to understand the core concepts of Music before strumming a guitar of holding a key. "Play the music, not the instrument" is what they preach. Currently classes for Guitar, Keyboard and Western Classical vocals are being conducted on a regular basis, but there are also provisions for instruments like drums, tabla, flute etc. The idea behind the genesis of this institute was to incorporate the thought that Music can be pursued as a mainstream career instead of a hobby or pastime. Eastern Fare encourages and motivates people with a musical inclination to explore their full potential and be able to create amazing work. All the students are given individual attention and guidance making it easier for them to discover their musical abilities. 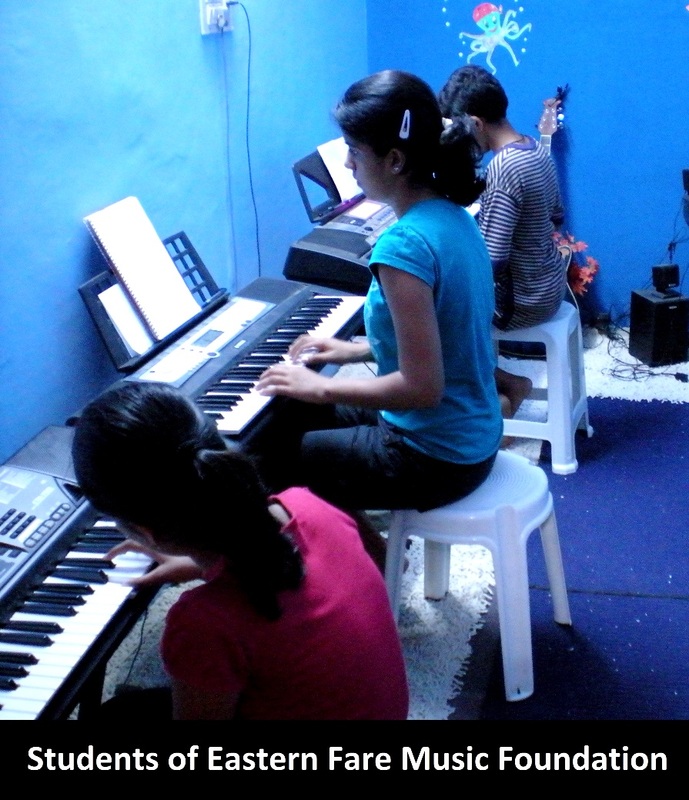 The students are generally screened based on their basic knowledge of music but most importantly they must have passion and sincerity for learning music. The very best of the students and the ones who have constantly exhibited progress never go unrewarded. The institute's has its recording facilities which are made available to the students at zero cost so that they can prepare their samples easily. The institute also promotes aspiring musicians, and artists through various media. When the melodic notes fade away, it vibrates in the memory. Eastern Fare hopes to influence people on similar notes. Even when the students are over their training and are long gone, the musical sojourn will linger on in their hearts and the amorous poetry of sound that they will sing will ripple, spreading the magic of music further and beyond. A freelance writer and journalist from Bangalore.